Code Division Multiple Access is more often known as CDMA, and it acts as a partitioning protocol with horse blinders to all other transmissions. 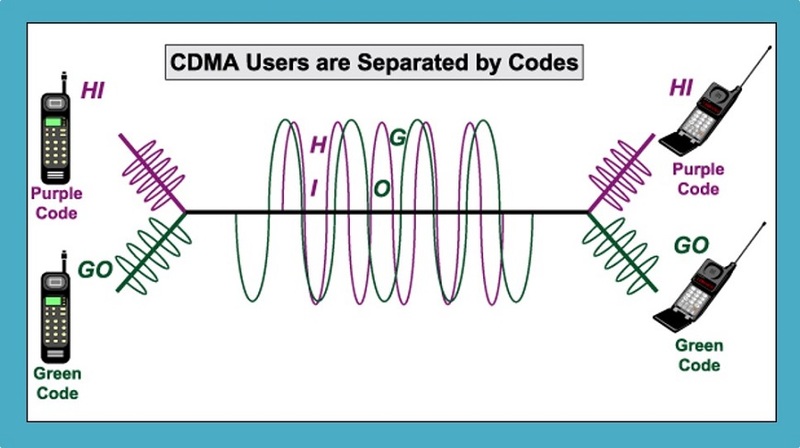 CDMA gives multiple access to nodes by dividing them and giving them codes. The rest are filtered out without much interference due to focusing on the codes with access only. "We propose a CDMA-based, secure, scalable, and energy-efficient technique to eliminate broadcast invalidations and increase overall performance. Experimental results indicate a performance boost up to 22.2% over a competing Photonic NoC and up to 57.4% over Electrical Mesh-based NoC when the proposed technique is used. Additional hardware deployed has an area overhead of less than 1%, whereas total energy consumed is at par with other state-of-the-art techniques (Soumyajit, Prasun, & Hafizur, 2016)." "CDMA is most prevalent in the wireless networking field, and its advantages lie there. In a CDMA protocol, each bit being sent is encoded by multiplying the bit by a signal (the code) that changes at a much faster rate (known as the chipping rate) than the original sequence of data bits (Kurose & Ross, 2013)." An advantage that's further explained in an article written by, Soumyajit, Prasun, & Hafizur, titled Design of a high-performance CDMA-based broadcast-free photonic multi-core network on chip, they state, "CDMA, along with other techniques, is used to eliminate energy and time-consuming invalidation broadcasts, thus increasing overall performance." Wireless sensor networks are proven to work well with underground coal mines using CDMA's protocol, "Different from the wireless communication on the ground, the space, time and frequency resources in an underground coal mine are open, and they can be utilized efficiently for wireless transmission based on MC-CDMA to improve the quality of wireless transmission in underground coal mine tunnel (Jingjing, Linyuan, Ruisong, & Xiaotao, 2015)." CDMA is considered to be part of the channel partitioning protocol because it partitions the data it's transmitting. It's compared to other medium access protocols such as taking turns and random access. Taking turns implies waiting. If a group of people are all talking Taking Turns would use a mediator to only allow one person to speak at a time. However, in CDMA, a person at a gathering would filter out the background noise and focus on the current conversation more intently. CDMA is much faster because it doesn't hear the background noise, which is interference. Random Access will randomly accept nodes because FIFO methods rarely work in computer systems. There are specific algorithms that explain which nodes are chosen first, but it's mostly random depending on size requirements and congestion in routers. CDMA partitions, segments, and groups nodes that travel together like the carpool lane of the highway. Another example is how multiple people come from different areas to travel on a plane and then split up into different directions after landing. GSM is another cellular standard, or Global System for Mobil Communication, which uses TDMA. 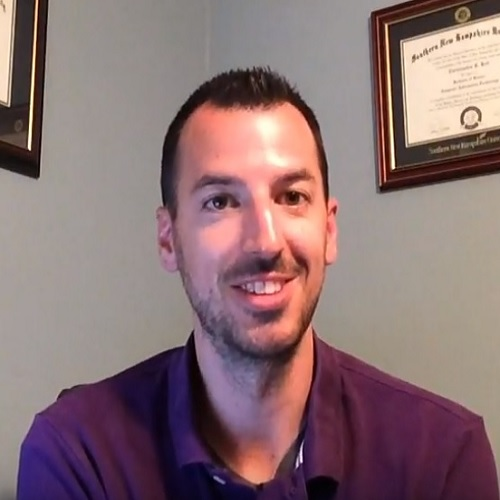 CDMA doesn't use SIM cards, but TDMA (Time Division Multiple Access) does explains Brendan Hesse of Digital Trends, "TDMA works by assigning time slots to multiple conversation streams, alternating them in sequence and switching between each conversation at very short intervals. During that interval, the phones can transmit their information. In order for the network to know which users are connected to the network, each phone uses a subscriber identification module card, or SIM card (Hesse, 2015)." A disadvantage for CDMA is a channel fading problem with sensors in different locations that adds to the bit error rate by interference. However, "In order to solve this problem, multi-sensor detection (MSD) is adopted to improve the BER performance of the WSN. (Jingjing, Linyuan, Ruisong, & Xiaotao, 2015)." CDMA has more advantages than disadvantages that include faster speed, more organized partitions of bits, and secure transmission of each node. Using codes instead of time is important to avoid collisions based on sending bits at the same time. Soumyajit, Poddar; Prasun, Ghosal; & Hafizur, Rahaman (January, 2016). Design of a high-performance CDMA-based broadcast-free photonic multi-core network on chip. ACM Trans. Embed. Comput. Syst. 15, 1, Article 2, 30 pages. Jingjing, X., Wei, Y., Linyuan, Z., Ruisong, H., & Xiaotao, S. (2015). Multi-Sensor Detection with Particle Swarm Optimization for Time-Frequency Coded Cooperative WSNs Based on MC-CDMA for Underground Coal Mines.